Community Missions would welcome an opportunity to speak with your church or civic group or to participate in your event. Learn more about the speakers available for such opportunities below. Please contact the agency at least 3-4 weeks in advance of your event with as much information as possible. 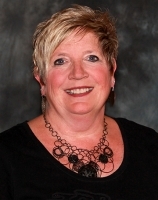 Robyn L. Krueger has been a member of the Niagara County community since 1974. A graduate of SUNY at Buffalo with a BA in Psychology, Ms. Krueger has also completed some SUNY at Buffalo graduate studies in the Counseling and Educational Psychology Department. 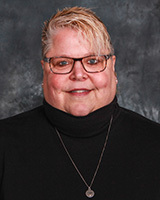 Ms. Krueger has been employed with Community Missions (CMI) since September 1977, having become the agency's Executive Director in September 1994. She began her employment with the organization as a live-in houseparent to six adolescent males in Niagara Falls. Ms. Krueger is a member of the Who's Who Among Outstanding Business Executives, a 2003 nominee for New York State Senate's Women in Leadership Program and a graduate of Leadership Niagara' Class of 2004. She was the 2006 recipient of the Anthony J. Cuccurullo Award, given annually to an individual working in the field of Juvenile Justice, and received the 2011 Niagara Award for Management from the YWCA of Niagara, Inc.
Joseph V. Sbarbati has been employed with Community Missions since 1983, serving in a variety of management positions throughout his 30+ year career with the agency. He is a 1973 graduate of SUNY at Buffalo with a BS in Social Welfare. As Associate Director at Community Missions, Mr. Sbarbati assures the proper treatment and empowerment of individuals that receive CMI services, and is responsible for personnel management. He serves as the Corporate Compliance Officer, Chairperson of the agency's Ethics Committee, while also providing supervision to CMI's Parole Re-Entry and Family Services programs, along with overseeing the agency's Quality Assurance/Training department. Grant Babcock has been employed with Community Missions since 1992, serving the agency in varied roles throughout his 20+ years. He is a 1985 graduate of Baldwin-Wallace (OH) College with a BA in Business Administration with an emphasis is Computer Programming. As Director of Operations for the agency, Mr. Babcock oversees the day-to-day operations of the physical plant and maintenance departments for the agency, along with the Crisis and Community Services division. He first began his connection with the agency when his father, Rev. Calvin Babcock, was named Executive Director of Community Missions in 1976. 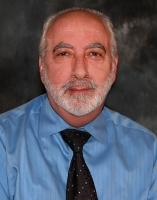 After volunteering at the Mission as a teenager, Mr. Babcock became Property Manager and Director of Supported Employment in 1992, before taking over as Director of Operations in 1995. An active member of the community, Mr. Babcock is a founding member of the Niagara County Coalition for Services to the Homeless. He is also a Past Commodore of the LaSalle Yacht Club (2002), and served as an officer of the organization for four years. 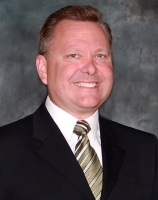 He is also a past member of the Niagara Falls Kiwanis Club and a former chair of the St. Paul's Board of Trustees. Sandy Brandon has been employed with Community Missions since 1996, serving in a variety of positions throughout her 20+ year career with the agency. She is a 1998 graduate of Buffalo State College with a degree in Criminal Justice with minor in Deviant Behavior. In her role as Director of Human Resources & Compliance, Sandy Brandon oversees the operation of personnel concerns for the approximately 140 staff employed by Community Missions. She also oversees the Quality Assurance Department and ensures all oversight regulations are being adhered to. Rev. 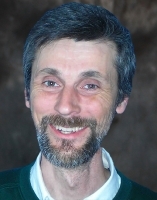 Mark Breese initially joined Community Missions in September 2005 in a part-time role as Volunteer Coordinator, then accepted the call to become the full-time Agency Minister in July of 2010. A graduate of Trenton State College (now The College of N.J.) with a BA degree in Communications, he received his M.Div. from Colgate Rochester Divinity School in 1997. In his role as Director of Ministry and Community Partnerships, Rev. Breese oversees the agency's faith services, while also building relationships and partnerships within the community. He has an open-minded and progressive theological approach to his ministry, emphasizing unity over differences and embracing ecumenical and inter-faith cooperation. Ordained as a minister in the American Baptist Churches USA (ABC-USA), Rev. Breese has nine years of experience in parish ministry, having served at ABC-USA and United Church of Christ churches in Niagara County. The first church Rev. Breese served (and where he was ordained) was First Baptist Church in Niagara Falls, NY-- one of the down town churches that founded the Mission in 1925. Marilee R. Clark joined Community Missions in 1986, serving in a variety of management and direct care positions throughout her 25+ years with the agency. Ms. Clark is a 1986 graduate of Buffalo State College with a degree in Criminal Justice with a Sociology minor in Deviant Behavior. She is currently completing her Graduate work in the area of Social Policy. As Director of Youth Services, Ms. Clark assures the highest quality service provision, proper suitability and effective programming for all divisional youth in care. She also oversees the staffing, management, supervision and 24-hour operation of all the agency's Youth programming. Yvonne L. Clark joined Community Missions in 1983, having held a number of direct care and management positions throughout her 30+ years with the agency. 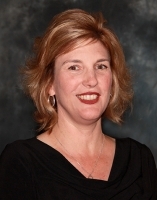 Ms. Clark is a 1984 graduate of Niagara County Community College with an AAS degree in Business Administration and Management, and continued her management studies at SUNY of Buffalo and Niagara University. As Director of Mental Health Recovery Services, Ms. Clark is responsible for the overall development, operation and evaluation of all the Division's programs, assuring the highest quality service provision is afforded to all those served. She also oversees the staffing, supervision and 24-hour operation of all the agency's Recovery Services. Invited to present a workshop at NYAPRS Convention on the implementation of the Personalized Recovery Oriented Services (PROS) program. 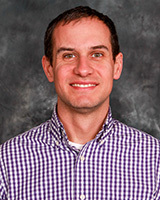 Christian Hoffman joined Community Missions as Communications and Development Manager in February 2013, and was named Director of Public Relations & Development in January 2019. A 2003 graduate of Lee University with a BS degree in Mathematics, Mr. Hoffman also completed course work toward an MBA at Mercer University. As Director of Communication, Mr. Hoffman is responsible for managing the day-to-day external communication of the agency, while also pursuing funding opportunities, specifically related to grantwriting. Since coming aboard, he has expanded Community Missions' social media reach using Twitter, Facebook and blogs, garnered unprecedented media coverage for the Mission, and has helped the agency secure hundreds of thousands of dollars in grant funding. Mr. Hoffman worked for seven years in Athletic Communications at the NCAA Division I level prior to joining Community Missions. He was a member of the 2014 class of Leadership Niagara and serves as President of the Board of Trustees for Family Promise of WNY. Lisa Andrus Malinowski joined Community Missions in 1985, and has held a number of different management positions throughout her nearly 30 years at the agency. 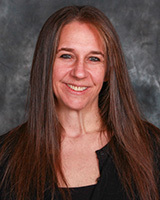 Ms. Malinowski is a 1983 graduate of SUNY at Buffalo with a BA in Social Sciences Interdisciplinary Studies and Community Mental Health with a minor in Psychology. As Director of Mental Health Housing Services, Ms. Malinowski is responsible for the overall development, operation, and evaluation of all CMI's Mental Health Housing Services. She is ultimately responsible for assuring the highest quality service provision for all those served. Other responsibilities include assuring adherence to all regulatory agencies, OMH certification standards, regulations and administrative policies and procedures, hiring, training and personnel issues. 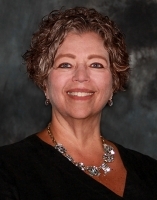 Within the Association for Community Living (ACL), she is Conference Chair for the Western Region Direct Care Staff Training Committee, serves as Western Regional Director, and is a Board Member of the New York State organization. Volunteers for the American Cancer Society Relay for Life and a past volunteer for the Road 2 Recovery Mental Health Awareness 5K Run/Wellness Walk.